Fleeing with only her bow, horse, enormous pet wolf, and the cryptic clues hidden in her mother's medicine journal, healer Meg Boswell gallops north towards freedom, running from the man who falsely accused her mother of witchcraft. Cursed with magical healing abilities, Meg knows that if she's captured, she will die like her mother-atop a blazing witch's pyre. Laird Daniel Murray seeks adventure, battle, and freedom for his countrymen. Putting off his duties as laird - with a promise to his clan he'll return come spring - Daniel sets off with his men to fight alongside William Wallace and the Bruce. But soon he stumbles upon an enchanting lady in need. She tantalizes him with an offer he simply can't refuse and a desire he attempts to dismiss. 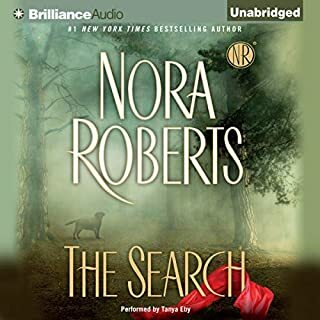 Escaping near death at the treacherous hands of a nearby clan, Lady Myra must find the Bruce and relay the news of an enemy within his own camp. 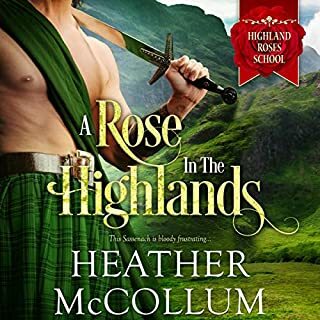 Alone in a world full of danger and the future of her clan at stake, she must trust the handsome, charismatic Highland laird who promises to keep her safe on her journey - and sets her heart pounding. Together, Daniel and Myra will risk not only their lives, but their hearts while discovering the true meaning of hope and love in a world fraught with unrest. Eliza Knight has become a favourite author. I have read two of her books and enjoyed them both. Loved the feisty female heroines, enjoyed the antics that they get up to. Well worth the read, or to listen too. I don't like reviews that explain the whole plot of the story of a book. Why should I listen to it if I know the outcome? Makes no sense to me. With that being said, I enjoyed this third book in the series. The book centers around the love story of Myra and Daniel. It basically deals with the hardship struggles and trust issues between them. My only negative about this book is the ending seems a bit rushed. I got into the characters and wanted to know more in the end. But overall, I enjoyed it. I listened to this great story along with the great book! Laird Daniel along with his Lady Myra risked their lives to help William Wallace and The Bruce. Together they found the true meaning of love. It was filled with adventure and love. This book has been my favorite so far out of all the stolen bride series. Love the chemistry between Daniel and Myra. Good narration by Corrie James. I loved this story! the narrator was fantastic! I was amazed at how she could switch from the female to male voices with such conviction. . she was great! A Scottish highland story steeped with historical details is such a nice delight and escape for any reader. 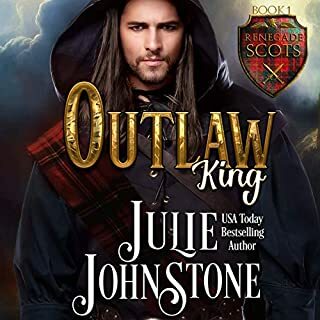 This series is great because it's filled with adventure, romance, pain, and very treacherous endeavors with the backdrop of the Scottish people fighting for freedom from English aggression. This is the 3rd book in the series, and although the series is about fierce Highland warriors determined to defend their freedom from English oppression, they encounter "the woman" along the way, but remain the constant gentlemen. Laird Daniel Murray is quite the gentleman with Lady Myra throughout the book. There are a lot of details in this story, but the bottom line is that Lady Myra has been given the weighty task of warning "The Bruce" about enemies within, but she needs protection as the Scottish countryside is filled with danger. So, Laird Daniel comes across her in the forest and offers her protection in exchange for her commitment to marry him. That is the crazy part about these Highland warriors...they know immediately what they want and go for it...lol Well, of course she's going to agree, but you can't just fall in love over night. This love story unfolds with each experience and danger pulling Laird Daniel & Lady Myra closer to one another. I like how Daniel knew right away that he wanted her for his wife, but it takes him time to gain her affection and heart-felt commitment. Lady Myra does not trust easily & when you consider her background it's understandable. It takes her a long time to trust others including Daniel. She is such a feisty, brave and strong heroine. It seems like these books are all about the tension that builds up between the two lovers throughout their journey. Laird Daniel & Lady Myra don't consummate their love until very close to the end of the book. Their relationship is fun, sweet & all about finding a balance between two very strong characters and natural leaders. This is, overall, a very good story. I really enjoyed Corrie James's narration. She did a great job with all of the male & female voices. Her timing was so good and she evoked just the right emotions in her inflections in voice. Another great addition to the series. Lots of action and a slow building romance with great chemistry that built up excitement. The hero was amazing! The narrator did a very good job with the Scottish accent and the different tones for each character. I liked this one better than book 2. It started off with good action, and I like that. So far the relationship issues are about the same, so no surprise there. My problem is I have a tendency to get bored, so I loose interest if I am not taken, lets say on a roller coaster ride. I didn't like the ending. I wanted there to be more about Myra going home with Daniel and meeting his family and so on. I hope there is more in Book 4. Eliza Knight is one of my favorite authors. THR HIGHLANDERS LADY is an exciting romance. story that I really could not put down.. The history that is. Included is so helpfiul in settling the pace for the story. Another good job Eliza. Well can these Highland covers get much better - mmmmm the mind boggles - anyway about the book..... 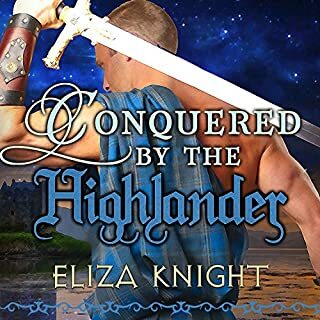 If you've listened to the other 2 in the series then you know what you're going to get - a Highland story that's exciting, amusing, entertaining and romantic as EK gives us an insight into a bygone historical era and whisks us away to feuding Scotland where Highland Clans battle each other and the English. Daniel and Myra met years earlier an it was a mutual instant attraction but unfortunately their lives took different paths until years later they came across each other both alone in the middle of dangerous woods but Myra was crying and covered in blood and Daniel was sucked right in. They were both seeking Robert the Bruce but for very different reasons and neither one wanted to share their secrets with the other for trust played a major part. It's got action, murder, deceit, double crossing and a tender romance with adventure by some likeable characters - even William Wallis and Robert The Bruce make an appearance and play a part in this story of treachery and betrayal. I somehow felt the previous two books had a bit more action in them as this one seemed to centre around Daniel and Myra's building trust for each other as they slowly let their defences down which allowed their feelings in. That's not to say there wasn't battles and skirmishes but the villain has yet to be caught - maybe in the next book (The Highlander's Warrior Bride - out now) we will finally get to see the demise of the treacherous evil Scottish Laird. Worth a credit? Yes it was entertaining, amusing and enjoyable - yet tender with a Highlander that, for once, wasn't all Alpha but more thoughtful, kind and loveable. this was the best so far in the series. I liked the chemistry between the H&H right away. I do feel that there is a pattern with these books.....constant denial of feelings and once the characters decide they do care about each other beyond lust.....the book is too quickly over. The endings are quick and leave the listener wanting more. Loved it,lets have the remainder of the series. Really enjoyed this series, I hope the other books will also be available for download soon.